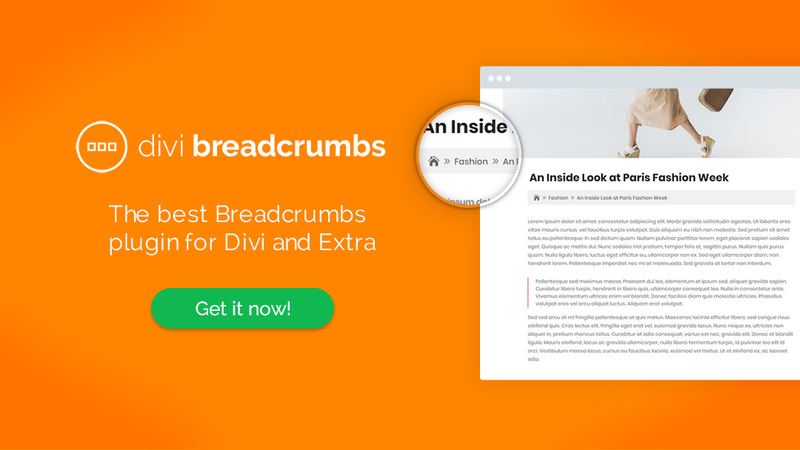 Lightweight, powerful, and an essential plugin to add to your development toolkit, the Divi Breadcrumbs plugin will help transform the way your site visitors engage with your content. Compatible with both the Divi and Extra themes, Divi Breadcrumbs is designed to have no conflicts with the website’s core files or the user experience. Setting-less, with no complicated and advanced configuration steps, Divi Breadcrumbs will improve the flow of your website and user experience by adding a location breadcrumb trail that displays the layers of your website. Subtle yet extremely powerful, Divi Breadcrumbs will enhance your site’s form and function. Extremely lightweight, Divi Breadcrumbs makes use of the built-in icon set already integrated within both the Divi and Extra themes. With this, there are no additional calls to fonts or assets, promising no additional load to your server or negative effect on your website’s performance. 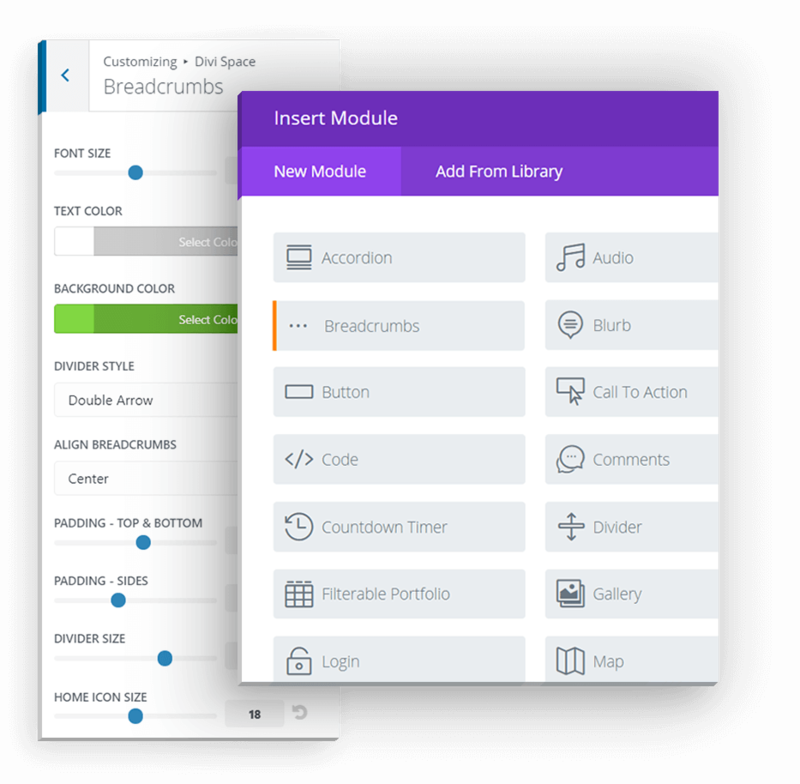 Unlike other breadcrumbs plugins that have intricate and oftentimes advanced setup configurations, Divi Breadcrumbs is a ‘setting-less’ plugin that starts working automatically as soon it is installed and activated. The look and feel of Divi Breadcrumbs can be styled to match any brand identity or website aesthetic. 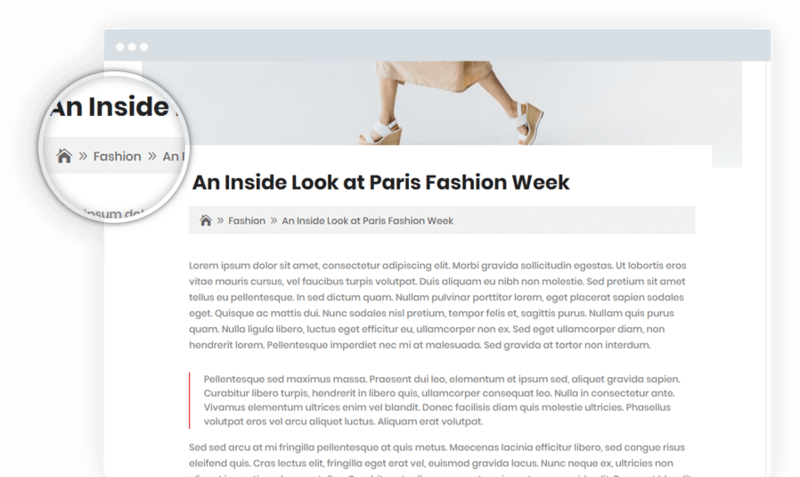 All styling takes place in the WordPress Customizer, where aspects such as font-style, size and layout, of either full width or standard width, can be set. Divi Breadcrumbs will enhance the SEO value of your website by helping search engines understand the relationship of content types. As well as enhancing the site’s user experience, making sure that visitors can navigate through a website with ease, Divi Breadcrumbs will also highlight core keywords and encourage an internal linking strategy – all of which will help pages rank better in search engine results. Divi Breadcrumbs supports all archive types. From pages to posts, projects and custom post types, all taxonomies will be automatically accounted for by the plugin.